OK, so Cheryl & Brian had their engagement shoot the week of their wedding – so I didn't get all these edited until after their wedding – but I did get to get them a few choice samples they could display on the Big Day. We met up at Picchetti Ranch in the foothills of Cupertino. It's a beautiful, rustic location, lots of deer, cool barns, and trails leading through the hills. We looked at a map, and tried to find the pond – but we only found a dry lake bed :( But we had a fabulous time together, I got to boss them around and they listened to everything I said! I love my job! When I go home, I get to be bossed around, so the balance of the world remains intact people. 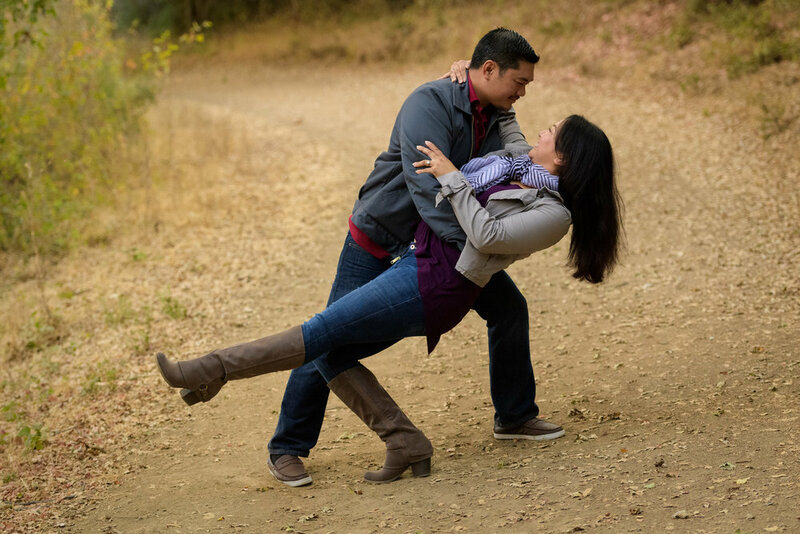 Anyways, enjoy a few of my favorites from Cheryl and Brian's Picchetti Ranch engagement shoot!